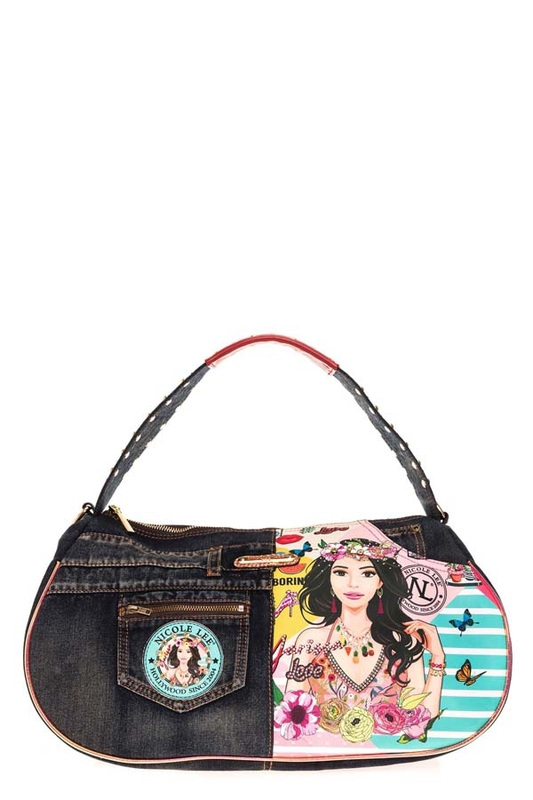 Perfect for everyday wear, the Nicole Lee "Yarissa" Denim Handbag. Exterior Features: Made of denim with metallic trimming. "Yarissa" design at front. Floral appliques. Top handle with vegan leather pad and rhinestone embellishments. Metal zipper closure with NL monogrammed zipper pull. Detachable shoulder strap. Front pocket for extra storage. Single patch pocket at back. Structured bottom. NL nameplate at front.